If there's a colour associated with Antarctica, it's white. But as temperatures rise with climate change, new research shows it's slowly becoming greener. Researchers at the University of Exeter in England looked at changes in the amount of moss that grew along the Antarctic Peninsula to better understand how warming temperatures have impacted the continent's limited plant growth. Lead researcher Matt Amesbury said the research focused on moss banks that slowly accumulate by growing a few millimetres each summer along the peninsula. The researchers looked at 150 years of data and samples of the moss from around the peninsula. "The conclusions and the results that we've seen show the response of these moss banks to climate change have been pervasive across the whole of the region," Amesbury told CBC News in a phone interview. The study, published in Current Biology, is one of the most comprehensive looks at how climate change will impact the South Pole. Previous studies have looked at the change in moss banks, but either only looked at one area of the peninsula or didn't look at change over a continuous timeframe, Amesbury said. "We looked at the last 150 years of records to try and give a bit of longer term context to well-documented and recorded changes in the Antarctic Peninsula from the 1950s onwards," he said. Every site showed a significant increase in moss growth, Amesbury said, especially from 1950-80. 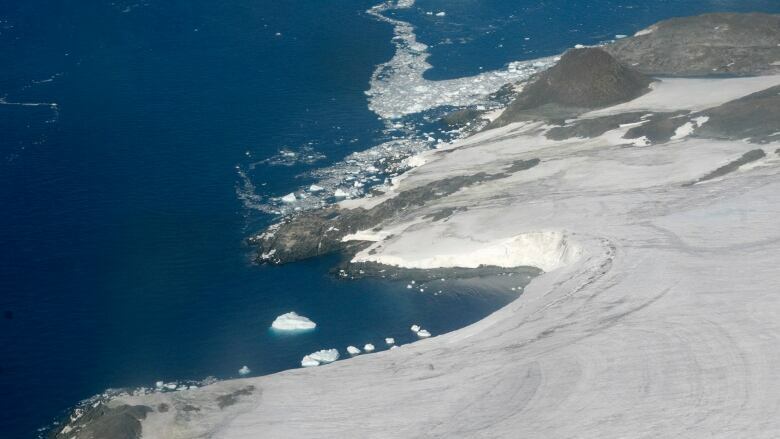 "What that result suggests to us is in the future if this warming continues there will be what we've called a greening of the Antarctic Peninsula," Amesbury said. The increase in moss is also encouraged by other effects of climate change such as glacial retreat, which has created more ice-free land. "Mosses are an effective colonizer of that new land," he said. Researchers don't expect the growth of moss and other plant life to slow down. "The common perception of Antarctica is it's a very white and icy place and on the whole that's absolutely correct," Amesbury said. "But what we're showing in the small patches where plant life can take hold it's not only surviving, it's thriving."